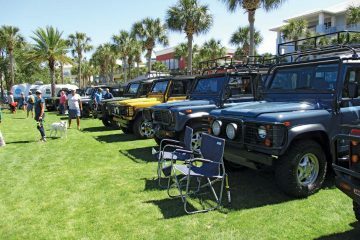 South Africans love their barbeques, their sports, their laid-back esprit and their Land Rovers. They wear their Green Oval pride on their sleeves. 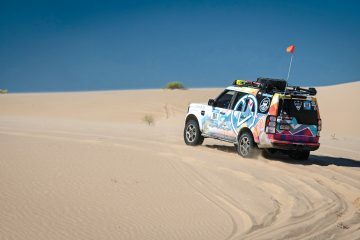 In recent years I’ve met South African overlanders Graeme and Luisa Bell at Overland EXPO West in Flagstaff, AZ, and Marc Hellig of Odessa, TX, at SCARR. Rovers Magazine has enjoyed articles by ex-pat Nicholas Bratton and shared the wedding photos of Eddie and Dr. Marna Turner. 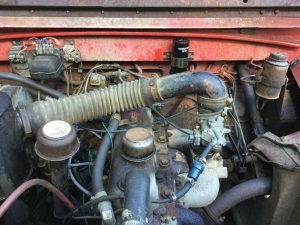 In the ‘80s, Leyland South Africa took CKD kits for the 109” SW and pickup, installed locally-sourced engines, and created unique models—such as the Series III S—to meet their needs. 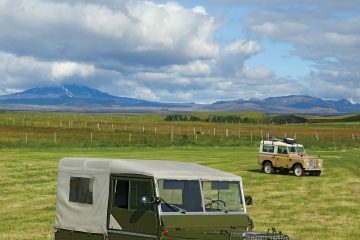 As so many overlanders make South Africa their start or finish of a cross-continent expedition, many Land Rovers are bought and sold in the country. All this trivia flooded over me when I paid a recent visit to a seasonal family who recently purchased a house on this island. No sooner did I arrive at the Walker’s house than their daughter, Hillary, came running up to the QE I exclaiming, “My husband would kill for a Defender!” I set aside my tendency to become an anorak about “Defender” and “Series” Land Rovers—her eyes glazed over when I started with an explanation—as she explained that her South African husband grew up with Land Rovers in his family. Hillary and her siblings cooed and ahhed as they explored the II-A, their evident delight expressed in their eyes and their smiles. Never mind that the QE I had not been washed or waxed since July, and frankly, had tools strewn all around the rear tub. Their positive reactions differed greatly from the usual sarcasm I receive from island friends, so I much appreciated their enthusiasm. Here’s hoping that a “Defender” shows up in the family one day! 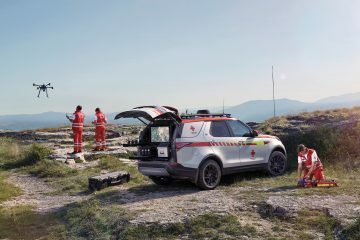 I’m working with and in my Land Rover daily, but truthfully, this island’s small size means I spend a lot of seat time without going very far. 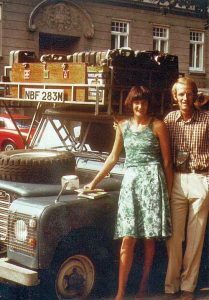 Thanks to Charles Forman, Richmond, VA, I interviewed his British parents, who traveled over 45,000 miles in a used 1977 Series III 88”. 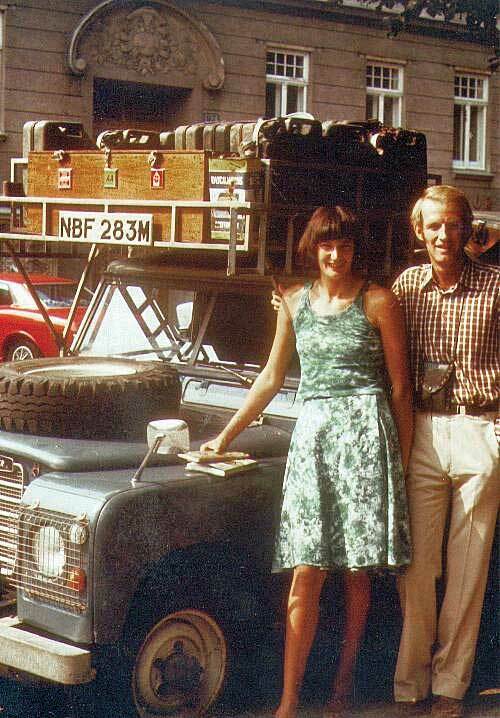 Jan and Alec Forman met in Germany in 1972; she served as a nurse and Alec worked as an aircraft engineer. They spent five years saving up the necessary funds for a multi-continent overland with “no controls, no restrictions, no holidays—a trip with no end point.” Alec accepted three assignments in Antarctica (“not much chance to spend money there”) and one in Oman until they had accumulated sufficient funds. 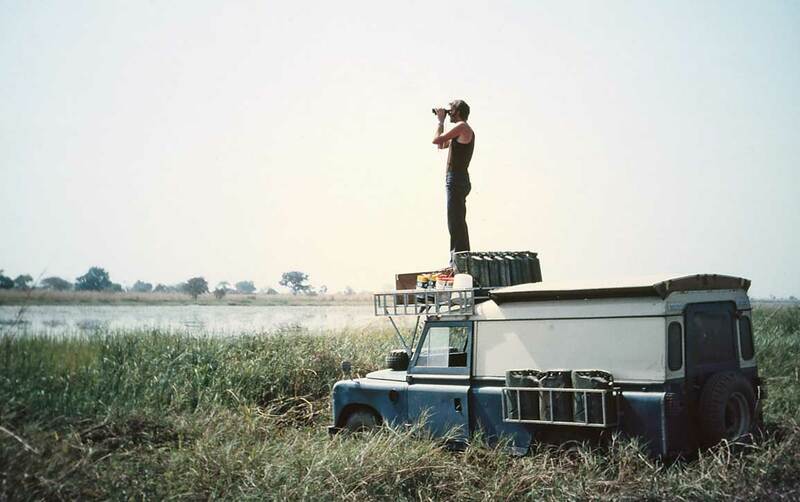 Alec said that a Land Rover was, “An easy choice. I’d used them in the Army and I was pretty familiar with them. They’re leaky and drafty but that’s part of owning a Land Rover. I bought this from my uncle. It had transported pigs and potatoes, and it took days to get rid of the smell. It had low mileage but a lot of farm work.” Jan noted, “I would not want to be in any other vehicle.” To save money, they constructed their own version of the Carawagon camper. They then proceeded to travel through Europe and Asia, into India and Nepal, and then back. 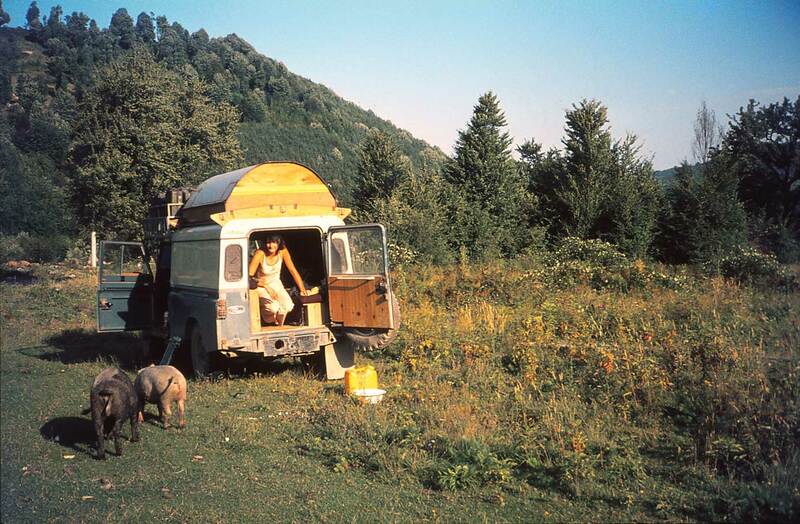 Remember this was a time when travelers arranged everything through snail mail, when Europe was divided by the Cold War, when developing-country travel could prove really primitive. 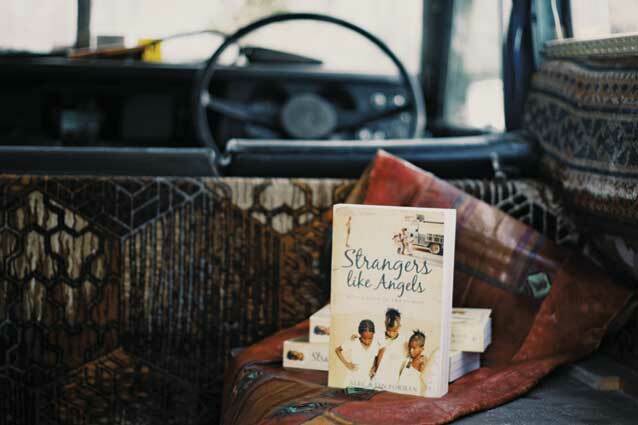 Jan’s diaries and letters to family recounted the stories crammed into their book, Strangers Like Angels (a captivating read). Jan believes there’s another two books worth of continuous travels. The Forman’s adventuresome spirit afflicted their daughter, Maria, who now works as a nanny for the Falkland Island’s Chief Medical Officer. “She living among 40,000 sheep,” said Jan proudly. She’s also living amongst hundreds of Series and Defenders on 23 inhabited islands of the Falklands, 300 miles east of South America. Canadians Jean and Denis Crankshaw spent many months photographing the extraordinary geography and wildlife, combined with evocative photos of Land Rovers, in their book, Land Rovers of the Falkland Islands. 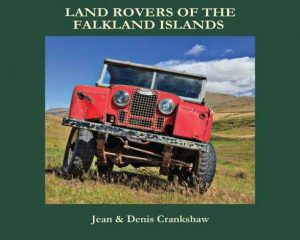 As a “lover of both Land Rovers and the Falklands,” Jean and Denis returned to the Falklands and photographed 172 Land Rovers, from Series I’s through Defenders, at work in fields and roads, and in every guise. 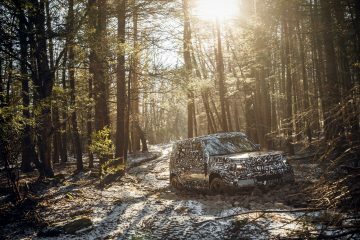 The captions just hint at the story behind the remarkable vehicles that capture the spirit of Land Rover. 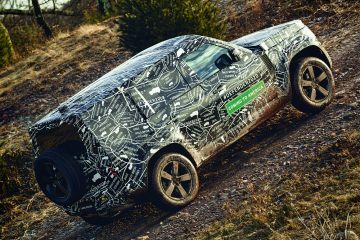 Somewhat icily, Jean writes, “The Land Rover name is associated with a range of sport utility vehicles such as the Range Rover, Freelander, Discovery and Evoque. These latter vehicles are not included in this book.” I recognize that tone—it’s the one used by family members when a distant relative or absent friend inquires what I’m up to these days. The Crankshaw’s compelling photographs provide click bait for your travel site of choice. Here’s a tip: find your preferred way to get to Santiago or Punta Arenas, Chile. LAN provides the only international service to the Falklands. I’ve looked already. On occasion Rovers Magazine readers show up on this island for vacations, always a treat. 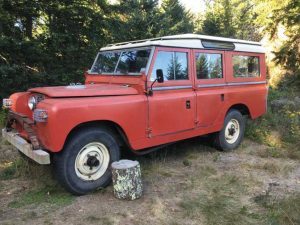 One of this year’s visitors was Marc Brouwer of Kingston, NY, who rented a waterfront house with his family and their ‘85 Land Rover 110 V-8. 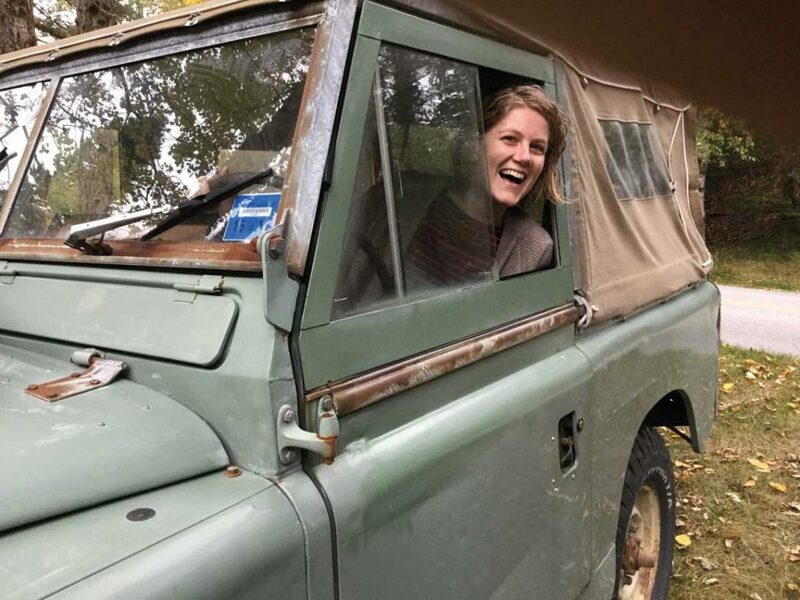 The moment they put their Land Rover in the ferry line on the mainland, I received a photo and text from an islander asking, “Do you know this Land Rover! 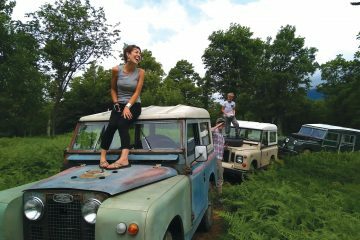 ?” I truly enjoyed spotting another Land Rover on the island. Marc and I agreed to get together. 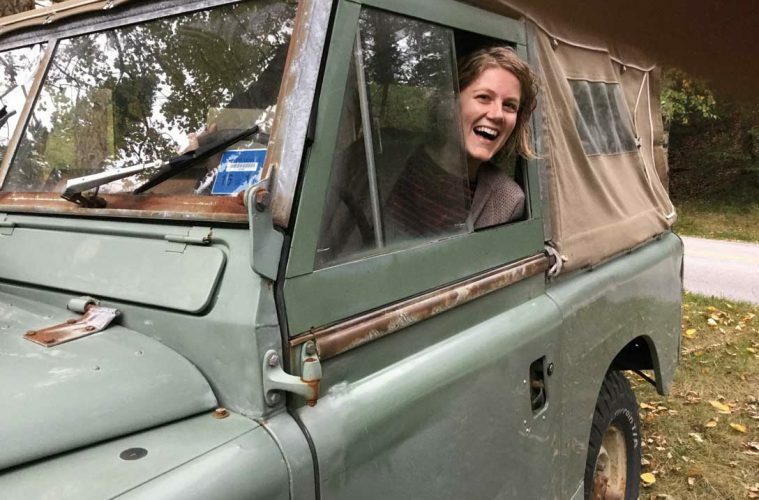 As enthusiasts we had two options: one would be at a bar and the other would be over the open bonnet of a Land Rover—preferably someone else’s. We lucked out with the Series II 109” of another island resident (and his landlady), named Elin. Her father, a photographer whose work appeared in contemporary magazines, had mounted a leaf spring on the front bumper but otherwise, the 109”, with its faded patina of red, remained original while carrying a load of family memories. This past September, however, Series II would not start. We leapt onto it like teenyboppers with Justin Beiber tickets. We started with the easy stuff. The tank had gas. The battery read 12.5 V on a multimeter and the cable clamps looked clean. The choke opened and closed. Pushing the starter button we heard the starter churn, but without any firing. The distributor cap looked intact, outside and inside, as did the rotor. Pulling the rotor exposed the points and they, too, looked fine. Turning the ignition on and with the points open, I placed the tip of a screwdriver across the points and got a mild spark. Pulling a plug, grounding it against a screwdriver and cranking the engine revealed no spark. As a confirmation, I pulled the coil wire from the top of the distributor, placed it near a screwdriver and pushed the starter button—still no spark. Following the recommendations of Rovers North’s Arthur Patsouris we determined that the problem rested within the high-tension side of the ignition, most likely the coil with a side possibility of a bad condenser. A call to Eric Brennan at Rovers North and the parts arrived within short order. By this time Marc’s vacation had come to an end and he returned home to his fleet, including a ‘66 ex-Swiss Military and a ‘64 109” fire engine. That left me with the task to actually completing the repair. Pontificating a diagnosis and having someone else pay for the parts entertained me, but what if I were wrong? What if the 109 still refused to start? I debated whether to weasel out of any further pretense of mechanical capability, gave myself a dope slap, said “Thanks, I needed that,” and summoned up the courage to man up and effect the repair. For a change, the outdoor repair was completed in nice weather. With no spare tire on the bonnet it could be raised straight up. A screwdriver helped remove the old coil and the new one fit perfectly. Buttoning everything up, I got behind the steering wheel, pulled out the choke a bit, turned the key and pushed the starter button. Within seconds it started and settled into a nice idle. I looked around in case the nearby chipmunk or seagull cared to applaud—they didn’t. I shut the car off, counted to 20, and started it up again. Twice in one day—job well done. Oh, and if you can’t spend years traveling throughout Europe, Asia, or the Falklands, you’re welcome to come visit here. 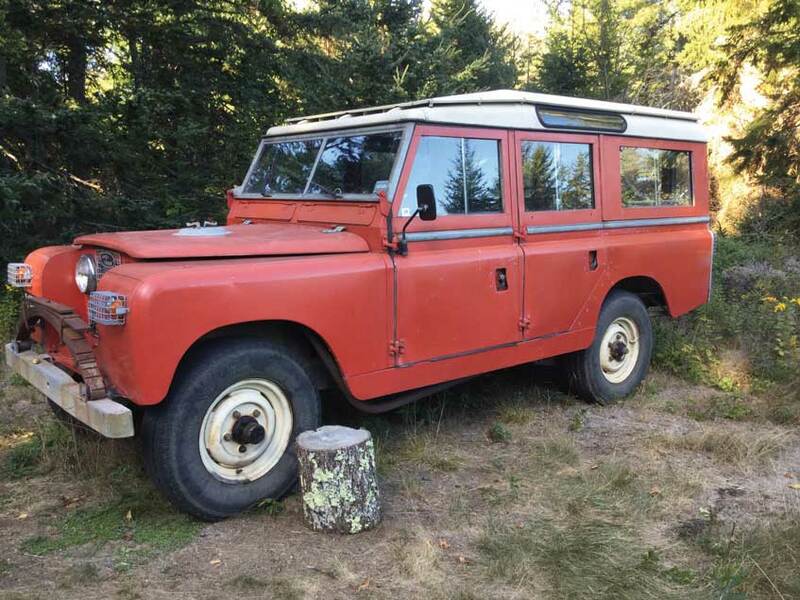 I’d be happy to work on your Series Land Rover!